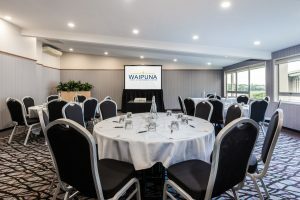 Waipuna is one of New Zealand’s most comprehensive conference centres, with 17 flexible function rooms and a purpose-built 410 seat tiered theatre. 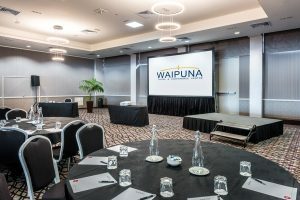 The majority of our function rooms have plenty of natural light and many have views of the stunning Panmure lagoon, providing a calming outlook. We have all the facilities of an inner-city venue, without the traffic and parking hassles. We have a wide variety of delicious seasonal menus available for morning and afternoon teas, lunches, plated dinners and buffet dinners, to suit a range of dietary requirements, tastes and budgets. 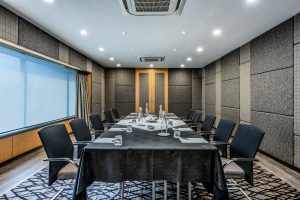 Over many years, we have perfected the art of a hosting a great event which means you can relax knowing that your conference or meeting will be handled by an experienced, passionate Event Coordinator, who will work together with you to deliver a successful event. 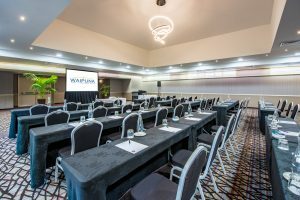 We welcome you to contact one of our team to discuss your conference or event. We have two fully operational kitchens including a bakery on site and can provide any catering requirements. We do not allow outside Food or Beverage to be brought on site. I need a specialty conference room set up, can you accommodate specific set up requirements? Yes! 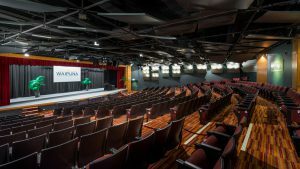 Most of our conference venues are single level without obstructions to floor spaces affording you the flexibility to customise your set up to suit your individual requirements. Can we arrive early to set up? Depending on times and availability we are happy to look at early access times for set up. I have some delegates with special dietary needs, can they be catered for? We are happy to cater for special dietary needs on request and just ask that requirements and delegate names are provided prior to your event. I require accommodation for some delegates and guest speakers, can you provide accommodation? 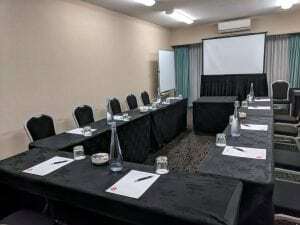 With 148 accommodation rooms on site, we are the perfect solution for residential conferencing. I want to provide my own equipment, do you allow this? While we work with a preferred supplier for all audio visual requirements you are welcome to provide your own equipment for your event. Do you provide pads and pens for conferences or do I need to provide these myself? 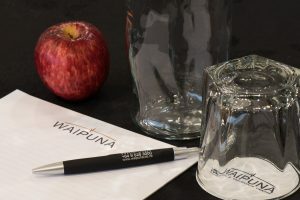 All conference venues are set with pads, pens, mints and water on delegate tables or on a station if theatre style seating arrangements are preferred. Yes we do and most of our conference venues can accommodate staging. When do I have to pay for the conference? While we ask that a deposit is paid in order to confirm a booking, final invoices will be sent through on conclusion of the event for payment within seven days. Yes we do, please note all credit card transactions incur a 2% transaction fee. Can I pay via direct credit? Of course, bank account details can be provided on request. We have some guests that will be coming along with partners attending the event but who won’t be involved in conferencing, are there activities they can do close by while we are in session? Check out our ‘Things to do’ page for local activities and attractions. 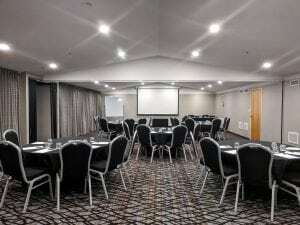 We need multi rooms for our conference including breakout spaces, can you accommodate this? 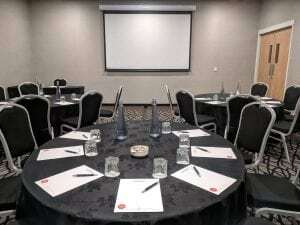 Yes, with 17 conference venues we can accommodate conferences requiring additional workshop areas. I’m not sure how many people are going to attend, do you need to know final numbers? For catering and seating purposes, final numbers are required two working days prior to an event. We need your “best guess” for numbers at the time of quoting to ensure we allocate a function space appropriate for your numbers. Not everyone may turn up on the day. If less people attend than expected, can I get a discount on the catering? Unfortunately no, as all catering is made to order and prepared specially for conference events. Can we take the left over catering away with us? Unfortunately due to health and safety regulations we are not allowed to let catering leave the premise.